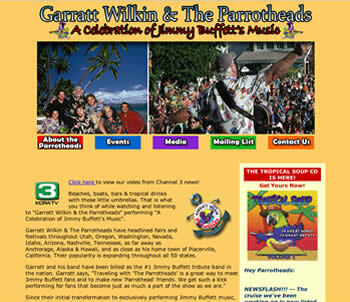 The site for this Jimmy Buffet tribute band was created elsewhere but there were some issues with maintenance and hosting and they came to us wanting to know if we could provide the service they needed. The association has turned out to be a good one for almost two years now. Do you need ongoing maintenance and hosting that is time-sensitive and cost-effective? Contact us.